Will Lawsuit Stem Suds Sales? The Portland City Council is attempting to make good on its threats to fight the Oregon Liquor Control Commission over the granting of a liquor license to a SE Portland food cart pod. The council filed a lawsuit on May 10 citing that the OLCC lacks clear and specific rules for such an establishment, and that such practices could open the doors for the city’s food carts and enclosed pods to serve recklessly, resulting in "increased crime, traffic accidents, fatalities, public nuisances, or other harms to the public safety." The lawsuit comes on the heels of the first permanent license being granted to a non-brick-and-mortar establishment back in March, the enclosed pod of 17 food carts known as Cartlandia, located where the Springwater Corridor bicycle trail meets the sprawling strip-malls and car dealerships of 82nd Avenue. 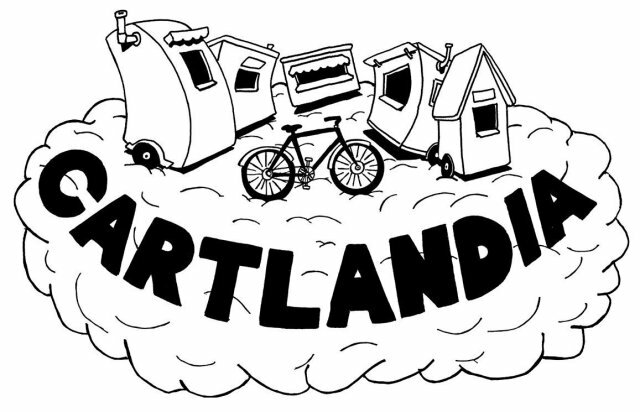 When Cartlandia applied for its license, the OLCC sought advice from the Department of Justice, and it was decided that food carts and pods should follow the same guidelines as brick-and-mortar restaurants. OLCC Communications director Christy Scott says, "every license is a case-by-case basis, and the fitness of the location and business plan are carefully looked over to ensure success and contribution to the economy and community." Cartlandia’s application was deemed favorable in part due to the six-foot fence that surrounds the 45,000 square-foot space, and the pod’s compliance in establishing a designated space for consumption, in this case, a roped-off beer garden. Cartlandia also employs two monitors to ensure that all alcohol purchases accompany food, and stay within established boundaries. It is because Cartlandia adhered to clearly defined restrictions that they were granted a limited onsite-only liquor license. This is the same type of license used in many establishments that serve alcohol; including full-service restaurants, sidewalk cafes, taverns, and nightclubs. It’s also the type that allows New Seasons customers to purchase a beer and drink it if they decide to have a bite inside the store’s deli. As for the ominous threat of a flood of liquor license applications? Scott tells me that in seven weeks, only one other application has been filed. City Councilman Amanda Fritz is on the record as saying, "When you’re looking at a neighborhood that is already challenged with some significant issues, adding outdoor liquor sales is probably not the best choice in that location—and I question whether it is at any location,"
In response, Cartlandia owner Roger Goldingay counters that his is a family friendly establishment that has seen no problems since they began serving beer in March. At this time, their license still holds, and with warm weather approaching, he is still hoping to boost business by continuing to offer cold ones with any food purchase. He cites "groundless fear" as to why the council is seeking to overturn the OLCC’s decision, and says it’s a bit confusing as to why Cartlandia has received so much attention; many carts and pods in other neighborhoods have been serving alcohol on-site for some time under temporary or extension liscenses, or by operating as a building within a pod. Examples are Pizza Depokos within The North Station pod (on N. Killingsworth), which operates as a restaurant because it’s a stationary site (no wheels). There’s also the Captured by Porches beer cart on SE Division, and the Hospitality Suite, a temporary cocktail-only cart that was open last fall at Cartopia on SE 12th and Hawthorne. I talked briefly with Caryn Brooks, a spokesperson for Mayor Sam Adams, who couldn’t say much about the desired outcome of the cart-pod case, since it is now pending litigation. She did state that the issue is not about Cartlandia itself, but rather the ill-defined licensing criteria of the OLCC, and that Cartlandia could be used as an example of precendent. In the meantime, customers can continue to wash down their gyros with a cold beer at the oasis on SE 82nd Avenue known as Cartlandia, even as both sides continue to monitor its progress.